At RMG Wealth Management Group, we take the time to understand our client's unique desires and goals. It is our job to learn about your accomplishments, your dreams and goals, and help you create a personalized financial plan to help you reach your goals. RMG Wealth Management Group is committed to increasing the net worth of our clients. Our firm provides experienced, practical advice and a broad range of high quality, cost-effective products, and services. Our client services include all elements of personal financial planning from budgeting to investment advice to estate planning. Our mission is to deliver a simplistic, yet integrated wealth management experience. 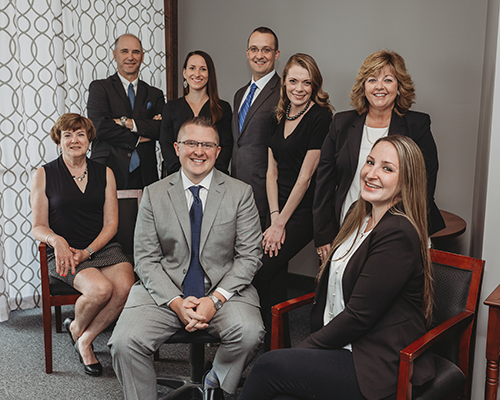 We aim to build strong relationships with our clients by helping them achieve financial security through protecting and preserving their family legacy over a lifetime. We execute a comprehensive financial plan after identifying your goals and objectives with the utmost integrity, honesty, and clarity. When it comes to planning for the future, realizing the need to take greater control over your financial life is the first step. Let RMG Wealth Management Group help you reach your goals!